So my first Warmshowers experience was a resounding success. Thank you to Ken and Dani for being such amazing hosts. They finished off my stay with a filling breakfast and a banana for the road. I did see a movie studio which made me stop and do a spit take. After 30 minutes of teeth grinding I hot some side roads which were a bit lower on the stress-o-meter. I was into Wilmington and rode through North Carolina A and T University. Then I started looking for a Rite Aid to get my glaucoma medicine re-upped. After 30 minutes of truck traffic I found one. Unfortunately my insurance won’t cover the refill until tomorrow. So an hour was wasted in the heat. After visiting the big container port, I headed out River Road along the Cape Fear River looking for Max Cady. I didn’t find Max but the ride was nice. There are miles of residential developments going in and the road. The primary benefit of the ride was the pristine road surface. Then I climbed the bridge over the intercoastal waterway. An actual hill! The bridge led to Carolina and Kure beaches and ultimately to Fort Fisher and the ferry to Southport. 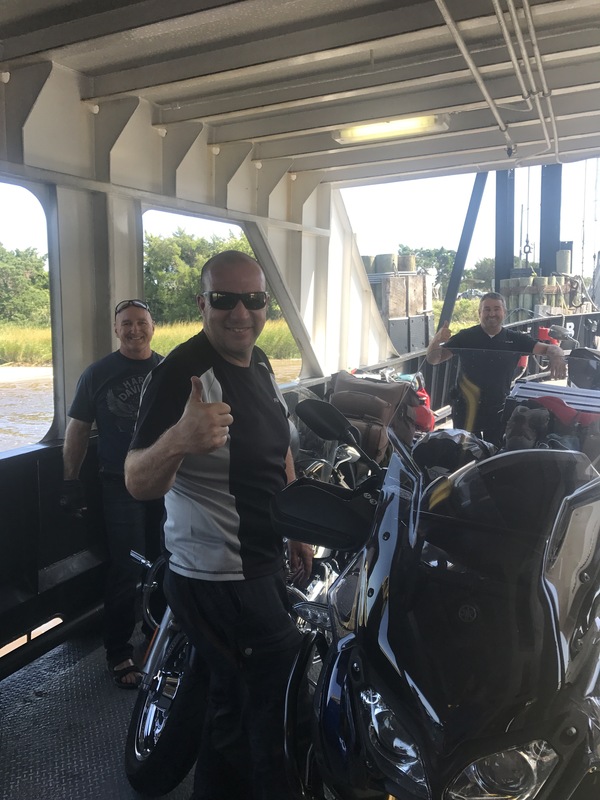 During the 20 minute ferry ride, I talked with three motorcyclists from Quebec. They were on their way to Orlando. They will put their bikes in storage and fly home. They’ll return in November and ride to Las Vegas. 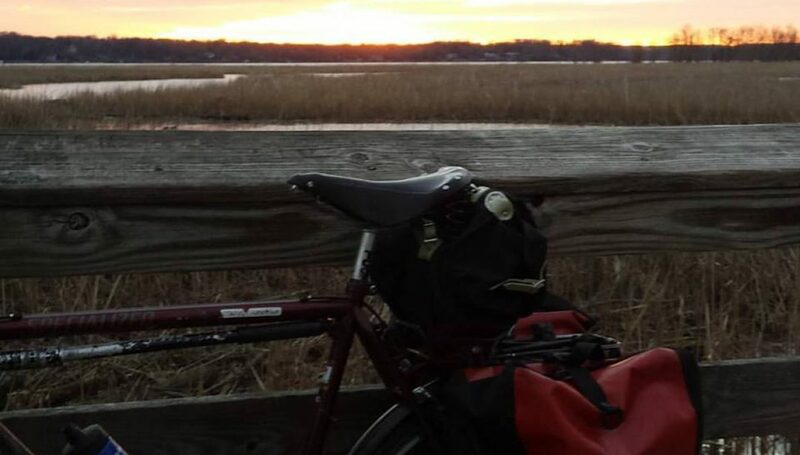 The bikes will go into storage until they return in the spring to ride home. The ride to my college friend Wendy’s house was stress free. Southport is a cute little town. I pulled up and Wendy was waiting. Big hugs and an intro to her husband Brian ensued. For the record, when I grow up I want Wendy’s house. Cold water, cold beer and fine foods were ingested. An easy day with a lovely finish. 58.5 miles for a trip total of 584 miles. Tomorrow it’s on to South Carolina. 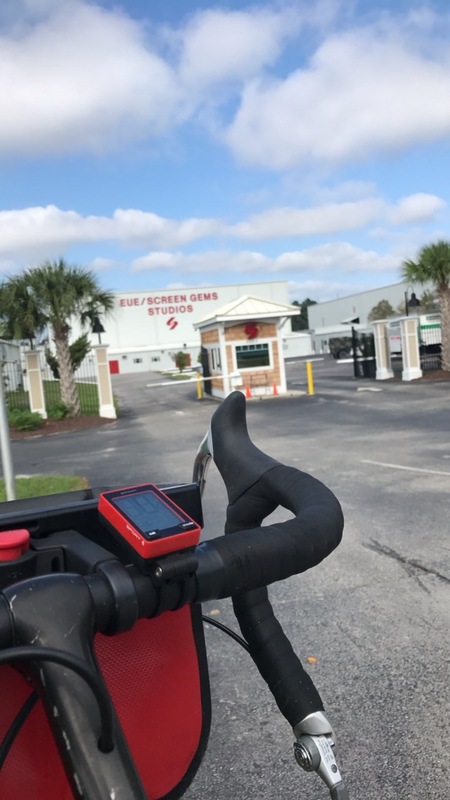 Posted on September 19, 2017 by rootchopperPosted in #bikedcTagged bike tour. #nowaysohey, North Carolina.